CHRISTIANSTED – As the nation marked the ten-year anniversary of Hurricane Katrina with memorials and celebrations, all along the Gulf Coast the milestone was marked with fundraisers. Time may have moved on for the majority of Americans, but in states like Louisiana and Mississippi, there is still work to be done and there are still re building efforts underway. As a part of the Virgin Islands community, St. Thomas public adjuster Tutwiler and Associates has worked with property owners in the territory and several other states and they say things have certainly changed from a property insurance standpoint since Hurricane Katrina made landfall in Louisiana 10 years ago. The licensed and certified public adjusters at Tutwiler and Associates, with offices throughout Florida and in nine other states and the U.S. Virgin Islands, say there are many lessons learned as a result of the insurance claims process stemming from Hurricane Katrina. This storm was a wake-up call about the insurance coverage issue of trying to determine what damage was caused by wind and what was caused by the flooding in the aftermath. While the storm was one of the five deadliest hurricanes and the sixth strongest hurricane overall in U.S. history, the property insurance claim experts at Tutwiler and Associates say a silver lining to the storm has emerged ten years later. Those damages continue to be felt all along the Gulf Coast. Hurricane Katrina is the costliest natural disaster in U.S. history and, according to a National Hurricane Center report, caused more than $81 billion dollars in total property damage. 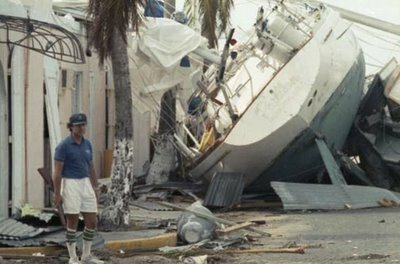 Tutwiler and Associates has offices with licensed and certified public adjusters in the Virgin Islands and they say while there is certainly no predicting just how powerful or damaging a storm can be, property owners can do a handful of things to ensure they recover a fair and honest settlement from their insurance policies in the event of a major property loss. The Virgin Islands public adjusters at Tutwiler and Associates say while this property certainly includes “big ticket” personal property items like appliances, electronics, and furniture, property owners shouldn’t neglect structural pieces of their property as well. This includes documenting the conditions of things like the roof and as well as other structural components of the insured building. A positive take away from Hurricane Katrina should be that everyone should now be aware of the difference between a flood loss which is not covered in most property policies and the wind coverage in their property insurance policy. Of course the biggest lesson of all Virgin Islanders learned in Hurricanes Hugo and Marilyn – Be prepared, always be prepared.